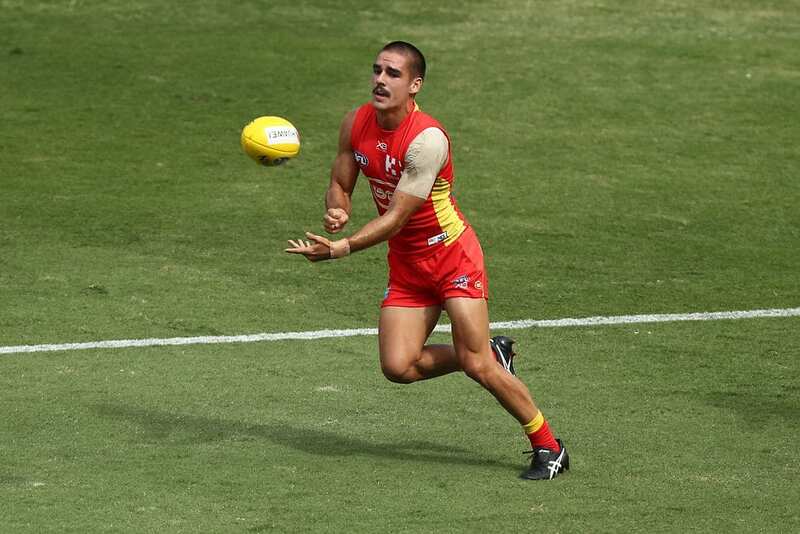 A spirited final-quarter comeback wasn’t enough to give the SUNS a win in Round 1 of the NEAFL last weekend. But despite the loss, there were plenty of promising signs to take away. Will found plenty of the ball for us in the midfield and was really solid in his craft around stoppages. He worked well with the other midfielders and Tom Nicholls to win clearances for us. We will continue to work with Will closely on his two-way running so he can take his game to the next level. Goobs played forward and as backup ruckman for us again this week. He started well and competed in the air but faded out in the middle of the game before having a real impact in the final quarter. He took a really important contested mark in the last quarter which is an area of his game we’re working hard on. Jacob’s been playing down back this year as we want him to develop more in this area. We know Jacob can play in the midfield and rack up the footy but want to give him the opportunity to show he can play in more than one position. We’re continuing to work on him with his defensive craft and being able to read the cues when we win the ball to allow the team to explode on offense. He was skipper this week and led the team well with his communication. Sam played a very good game. He played forward for the whole match after playing in multiple positions last week. He was able to give a good contest in the air and was rewarded with five goals. Caleb started slowly but really worked his way into the game. He played his role but we’re really drilling into his strengths which is his one-on-one contests. We need him to be consistent with that throughout games to help the team defend better. Speedy started back but we moved him to the wing so he could impact more. A real focus he’s been working on is his overlap running to give us some drive out of defence. He took a couple of really good contested marks as well which is one area he’s been working on at training. We’re looking for him to continue to grow each game. We played Kingy forward to start with but then moved him back to get him more involved in the game. The ball wasn’t in our forward half as much to start with so Ben didn’t get much opportunity to show his potential as a forward. He played his role down back but we’re looking to play him as a more permanent forward in the coming weeks. Jack played a slightly different role for us this week in defence. He was playing higher up the ground than he usually does rather than being stuck in the defensive 50. We’ll continue to work with Jack on his positioning in this area so he can play a similar role at senior level if required. Jez started on the wing and covered the ground well, running over 15km for the match. We’ve given Jez roles both on the wing and at half-back where he’s played a lot of his footy. We’re working with Jez on his structures so he can nail them whether he’s playing as a winger or down back. Nicholls started slower than what he would have liked but was able to get going after the first quarter. He gave our midfielders first use in the ruck and was able to follow it up at ground level which is his strength. Tom’s been working on his ability to go forward and take marks when he’s not required in the ruck and we’re looking forward to seeing this pay off in the next few weeks. We started Connor on the wing but he rolled his ankle in the first quarter. He was able to return in the second and played the game out. We moved him forward but he wasn’t able to impact the game as much as he did last week in this position. We’re looking for Connor to show some more consistency this week against the Swans. Michael was really solid in the midfield and led from the front. He cracked in all day and found plenty of the ball but was a real barometer in there for us with his two-way running. He provides great leadership to our younger midfielders in there and is contributing to their development. Youngy played in the midfield for us and was really solid in there. He gave us some drive and was able to hit the scoreboard in the last quarter. He was one of a handful that played at a high standard throughout the game and will be putting pressure on for a senior gig.